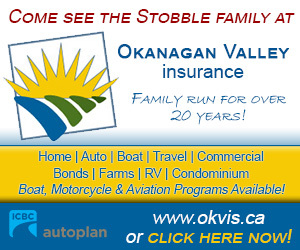 Music Reviews by the Rock Doctor - April 1st, 2019 - Gonzo Okanagan Online News, Music, Technology, Sports, Film, Arts & Entertainment, Culture, Wine & Dine... Life! 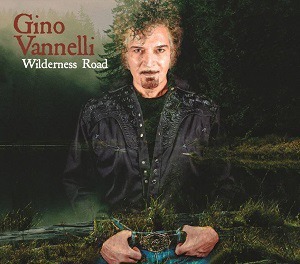 This makes 20 albums for Montreal’s Gino Vannelli. He’s been a spectacular pop song-smith for decades now, and Wilderness Road does not disappoint. Wilderness Road is an album of life, love, and gently inspiring songs, one of the very best things Vanelli has done- and that’s saying a lot. 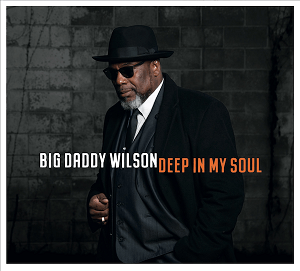 Big Daddy’s fifteenth album, out April 19th, is an electrifying, soulful exploration of the blues not to be missed. Deep In My Soul is a warm, loving embrace- a ‘soul hug’. Born and raised in North Carolina, a real country boy who was encouraged to sing in church to avoid temptation, it was after joining the US Army and being stationed in Germany that Wilson discovered the power of live blues in the local clubs there. “It was here that I found part of me that was missing for so long in my life” he says. Since then his deep, smoked-honey voice, has made him a star on the European blues scene. The album was then completed at Fame Studios in Muscle Shoals, Alabama, where they trod in the footsteps of the greats, to spectacular results. Blues, funk, even reggae (I Got Plenty) here that will, in turn, break your heart and set your soul at ease. To come back from Germany to make this record was a special experience. “It’s the journey of a man who found himself deep in this beautiful music called the blues and finally, after 25 years, made it back home” Big Daddy summarizes. The results speak for themselves. The retro-80’s scene is in full swing which makes now the perfect time for a new album by The Spoons. It’s their first new disc in over 8 years, and fans are ecstatic. 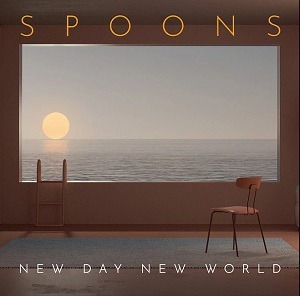 If you’re having trouble remembering The Spoons, they were a big deal on the new wave scene throughout the 80’s with hits like Romantic Traffic, Nova Heart, Old Emotions and Tell No Lies in heavy rotation at Canadian radio. New wave artifice with some pop and rock muscle is once again their stock in trade as New Day New World will surely take advantage of the current public affection for all things 80’s. 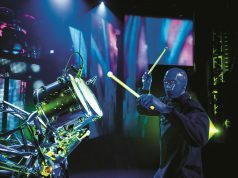 The songs here are melodic and catchy, as good pop tunes should be, and lyrically deeper- thanks, no doubt, to the passage of time and the changing perspective that age brings. The Spoons are Gord Deppe on guitar and vocals and Sandy Horne on bass and vocals, with Casey MQ on keys and Chris McNeill on drums rounding out the touring band. Sonically NDNW will make it feel like you drifted off on the couch and woke up in the 80’s, which is both the secret to its success and its biggest weakness. As a rock guy who came of age in the 70’s, I find the programmed drums and synthesizer textures can be a turn off but damn; once those pop hooks take hold, there’s no turning back. New Day New World is one of those records I can only take in small doses. While test driving it earlier this week in the car (as I do most albums I review), I got 80’s fatigue halfway through and put something else on. Decent songs, just not my overall thang. Wow. 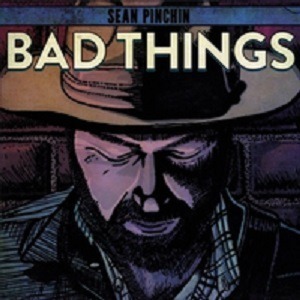 If you like guitar based blues and dirty slide, chances are good you’re going to love Bad Things as much as I do. This is just nasty- in the best possible way. Following recent records like Rust Bucket (2013) and the Juno-nominated Monkey Brain (2016), Pinchin ups his game yet again with Bad Things. This is an album of tough songs, delivered with what Duane Verh of Roots Music Report calls “power, drive and gobs of style.” Sean isn’t just playing at the blues here he’s up to his eyeballs in it, and his lyrics are as sharp as his guitar playing. One of my favourite lines of all time comes in the breakdown in Hands To Yourself where he relates a conversation with a friend after a bad breakup; “Man, I’m just looking for a woman to treat me the best she can” and the reply is “Brother, I’ve never met ANY woman truly happy with ANY man”. That’s the blues. The original stuff on this album is quite excellent, and the jaunty acoustic cover of Nobody’s Fault But Mine is one of the best covers of that song I’ve heard yet, second only to Led Zeppelin’s thunderous version on Presence. If Robert Plant were to do that song today, I’ll bet he’d do it like this. Pinchin’s ambient chill version of Skip James’s Devil Got My Woman builds slowly to an incredible guitar solo that keeps me reaching for the repeat button. So many highlights on this disc and moments of blues greatness that I could blather on all day. 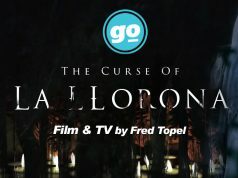 If there is a God, Bad Things will be HUGE. A charming, lively blues based set from this Boston-based group of musicians. Covering songs by Mose Allison, Jimmy Reed and The Stones as well as original stuff, Live At Electric Andyland is raw, basic and well played, straight from the heart. Dennis is one of Boston’s best known singer/ songwriters trading in roots/ Americana, but his songs have always been clearly influenced by his deep and esoteric love and knowledge of the blues and soul music. For some years now he’s had a weekly dive-bar residency with The White Owls, where they celebrate and explore the blues. No real details on the recording here, but the absence of audience noise would indicate that calling this ‘live’ means it was recorded live off the floor at Electric Andyland. Live At Electric Andyland is relaxed and casual, just a bunch of musicians digging in and really enjoying what they’re doing. I love the energy of this disc, the raw and unvarnished interplay between confident musicians as Dennis & The White Owls visit songs my Johnny Guitar Watson, Willie Dixon and more. 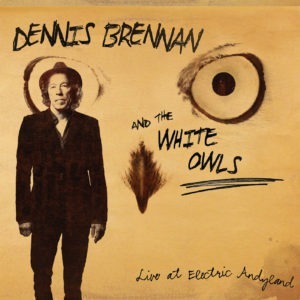 Some evocative slide guitar here, laid back drums and stand-up bass, not to mention Dennis’s perfectly unrefined vocals and simple harp playing make you feel like you’re right in the room as the music happens. Live At Electric Andyland isn’t necessarily one of those discs that’ll make you go “Wow!”, but as you listen you’ll find yourself nodding almost imperceptibly and thinking “Yeah… yeah…” This is a deeply satisfying album that you will definitely feel. He’s a doctor by day and an accomplished musician and songwriter by night. A beloved artist in his home province of Quebec, if the right people get their hands on Big Mistake he has the right stuff to become a genuine big deal. To describe this album in a few words, I’d call it ‘jangly guitar rock’ that owes as much to Tom Petty or CCR as it does to perhaps Bon Jovi. Mister Goodfaith made the journey from his home studio to the studio cabins of Nashville, to Quebec and Paris, with some stops in the bathrooms of cafes and concerts to festival stages along the way. It’s a sort of embraceable rock & roll with earnest lyrics that gives these songs a kind of country soul, if you get what I mean. These are songs have a positive energy that feels good. There weren’t any session details included with this disc when I got it in the mail so I can’t say who produced Big Mistake or who played on it, but what I can tell you is it covers all the bases from heartfelt ballads to great mid-tempo rockers like Never Again. 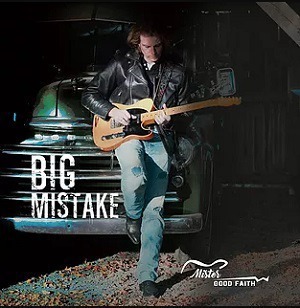 Some of these tunes (like the title track) would probably feel at home on country radio, especially given the current climate in Nashville, but Big Mistake isn’t a country record; it’s more of a heartland vibe- a simple, direct emotional honesty that crosses boundaries and genres. Will it change the world? Maybe not… but it WILL treat you well.